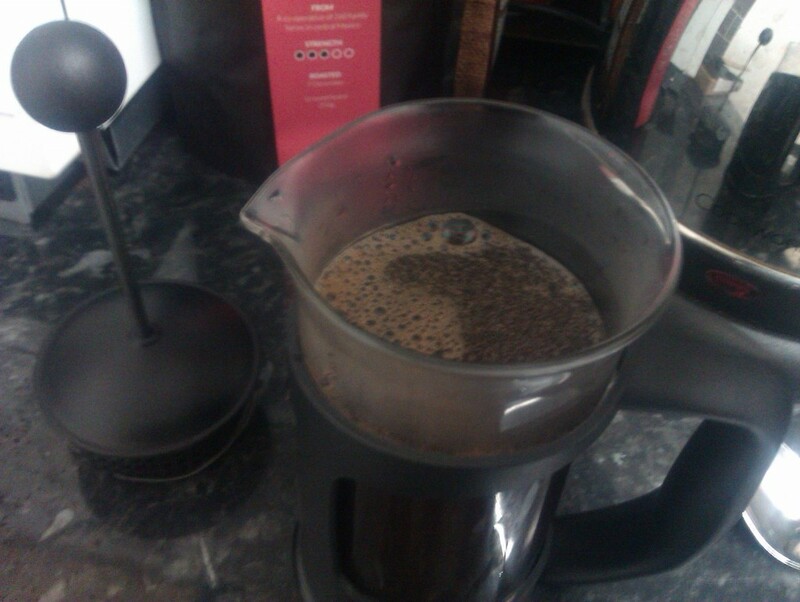 I am not a huge coffee drinker, in fact I’ve never really liked the taste but I really do wish that I did. I feel like I am missing out, my partner on the other hand is a big coffee drinker. Not your average instant coffee, he much prefers ground coffee. Working in an office surrounded by his fellow IT Workers he can knock back 7-8 cups throughout the working day (I know I’m amazed to and yes he does manage to get to sleep at night) Now like myself he was never a coffee lover, that was until he started to work in an office and he succumbed to the office norm and now he very rarely rinks anything but coffee whilst he is in work. 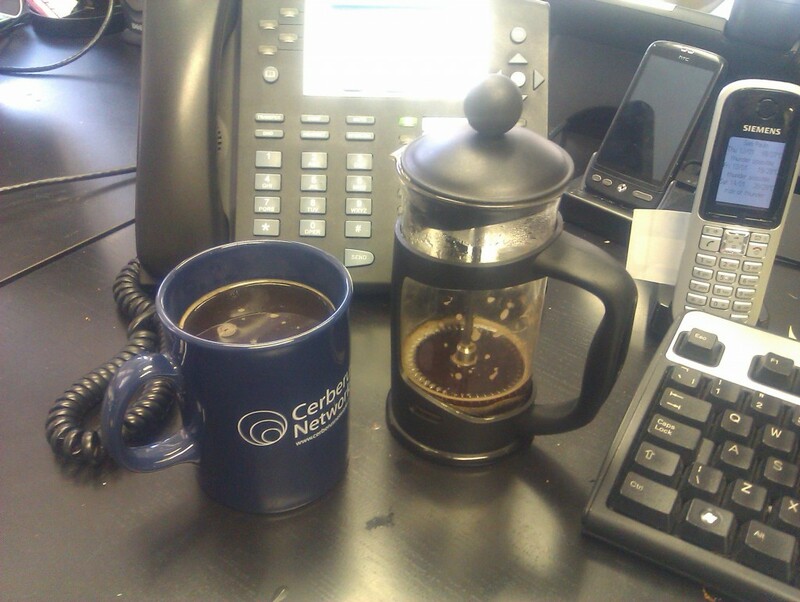 It’s only a small office with under 10 members of staff but they all appreciate a good cup of coffee. Each week they sampled various blends from companies available to them ranging in different intensities. It had become somewhat of a social event when they had discovered a new brand and blend. 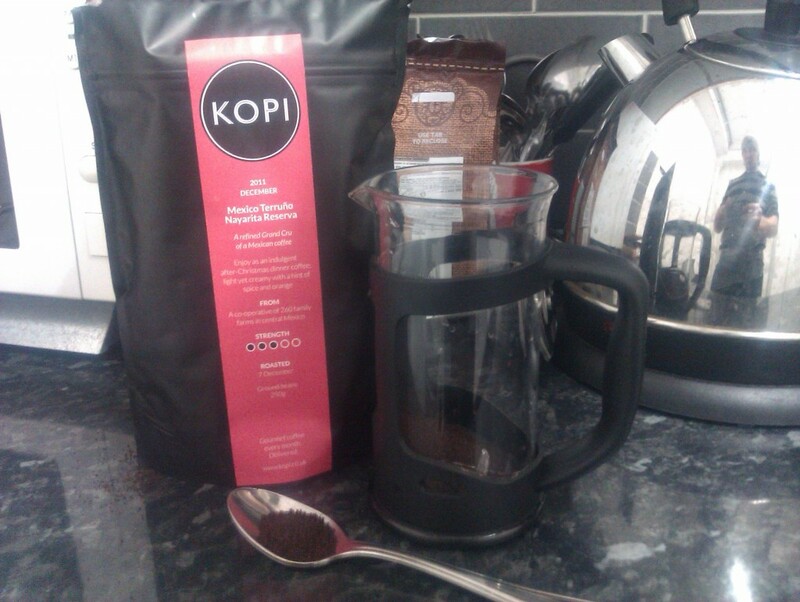 At the start of the New Year we were offered a very curious idea to review, the wonderful world of Kopi Coffee. 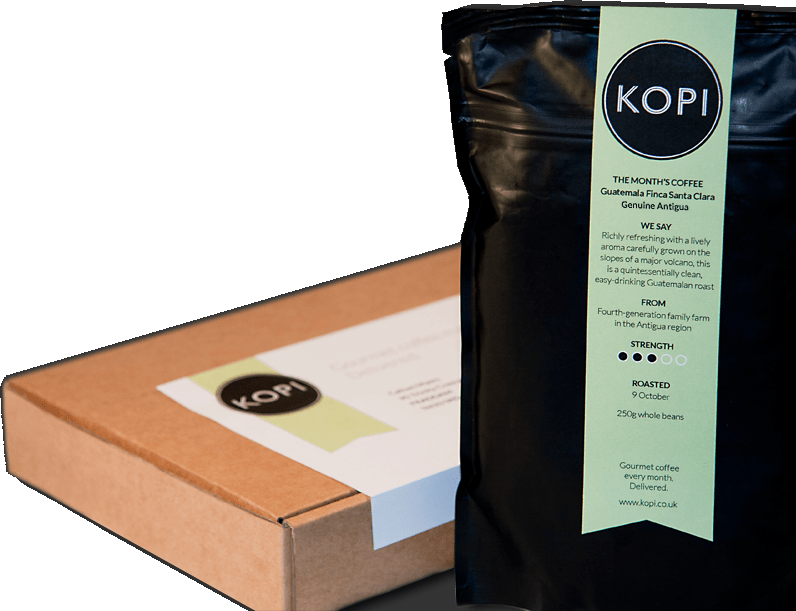 Kopi is an exciting service, rather like that of the Graze box in which you are supplied with a taster of the coffee of the month from Kopi for a monthly fee. Each delivery contains a 250g foil wrapped packet of freshly ground coffee. The subscription level ranges from £7 per month to £9 per month. Each month you can explore a new single-estate roast delivered straight to your door. The box itself it designed to fit through 95% of letter boxes which is great as you don’t even have to be in to accept your delivery. One of the things that we notice about the packaging was that the folf packet was re-sealable which is great, not only for convenience but it also helps to keep your coffee as fresh as the day it was packed. The packaging has a wide base which allows the packet to stand up, this has been a huge advantage for us as it saves on cupboard space having the packet stood up in our cupboards. When you sign up you can have the option to select either beans or ground coffee, being ones for convenience we were glad to receive ground coffee but I can understand why people would opt for beans instead. The best part about it is that you can swap from beans to ground at any point during your subscription. The coffee is carefully selected by specialists who have amazing knowledge which is why you would not find Kopi coffee in any of the supermarkets. Kopi fully support the Fair-trade, Rainforest Alliance and Soil Association initiatives. On the Kopi website it does clearly state its views on Fairtrade but not all of their coffee is Fairtrade , but they state clearly why this is. They still ensure they pay smaller growers premium prices for a truly premium product, and crucially, above the Fairtrade minimum. One of the features that I love about this service is that you are even given a code which allows you to trace your coffee online at www.trackyourcoffee.com. This provides detailed information about coffee origin, quality, and certification. So now for the coffee, this month we reviewed the Mexican Terruño Nayarita Reserva, an Aribaca coffee roasted on the 6th December. Yes the packaging did state the roasting date which I love, it’s the little features like this that really make this product stand out. The coffee was describe as being a rare product with as little as only 20 bags being produced. Boasting to be an indulgent Grand Cru of Mexican coffee from the West Coast of Mexico. The fact you can trace the coffee, with information on where it is grown including the altitude, the grading process, it all adds to a premium service and one that we wish to continue. We urge all coffee lovers to sign up…….go…go sign up now.